Short on time? Looking for ideas? Want to know if a certain fabric works for embroidery or with certain ink treatments? Just ask us. We offer a wide range of creative and project support services, including assistance selecting garment and accessory fabrics, colors and styles. And at HJ Hoffman Company, you don't have to be desperate to ask for assistance! Just call or e-mail us. 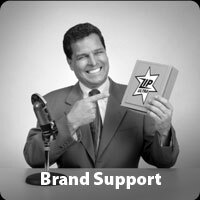 "Your brand will never look spiffier! 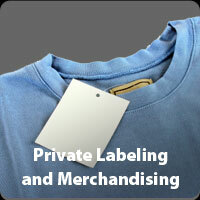 We will help you define and enforce organization branded apparel standards! 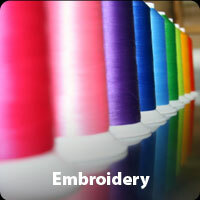 Even help develop a mini catalog featuring only apparel and ink and thread colors matching your company's requirements. Sleep easier knowing no fool of a co-worker is sashaying around an important trade show or board meeting in off colors or fuzzy logos (food stains excepted)! HJ Hoffman: the apparel printing company that defends and advances your brand 24/7 like crazed ninjas." 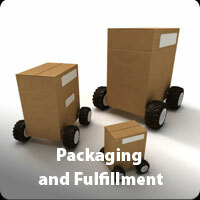 Do you have special packaging or fulfillment requirements? Tight deadlines? Need certain items in certain boxes in certain ways going to certain addresses on certain days? Let us know. We can certainly help you get the right items to the right location the right way at the right time. At HJ Hoffman, we do more than screen print and embroider. We offer services like design, artwork prep, private labeling, packaging, brand programs and more. 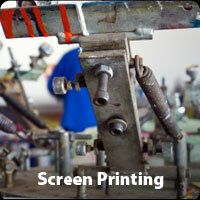 Whatever your apparel printing project might need, we will work to provide it for you. Unless it is something illegal, dangerous or like beyond super ridiculous, in which case we will have to discuss and vote on it as a group and let you know. So ask. Our goal is to help you get the right apparel and accessories, printed how you want and delivered when and how you want them. 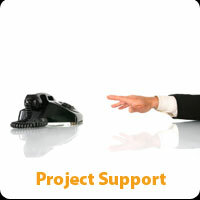 Whatever your project needs, just call or e-mail us.